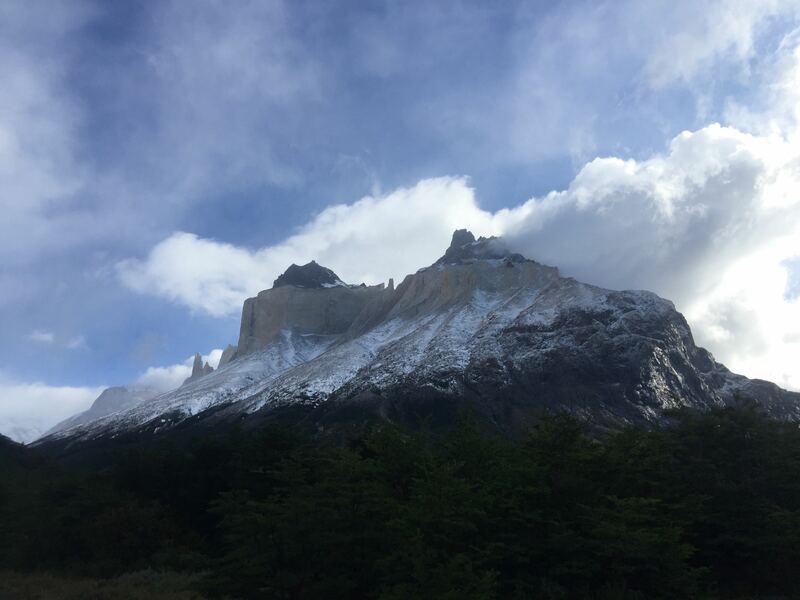 This is a 30-mile trek through Torres del Paine the most celebrated park in Chile, a UNESCO World Heritage Site and sister to our own Yosemite National Park in California. This trek visits stone spires, turquoise lakes and multiple glaciers. It is very accessibly for people of all abilities through its refugio system. You can read more about my trek own trek here. 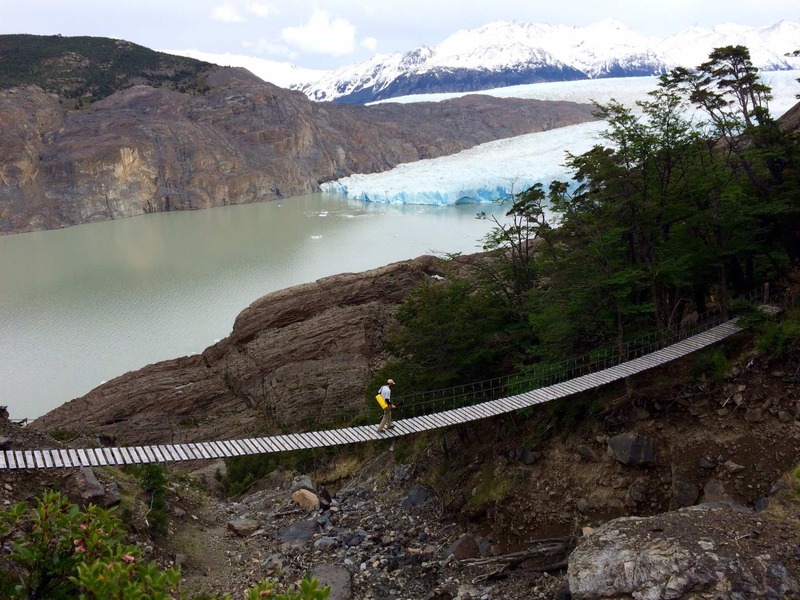 For those looking for something more strenuous and less-busy, the O-Circuit continues the W-Trek around the back of the Torres Del Paine. The backside campsites will be less busy and I’ve heard from several people the views were just as good as the W. Here is a great write-up and a brief overview. Glacier Grey is the glacier on the West side of Torres Del Paine. 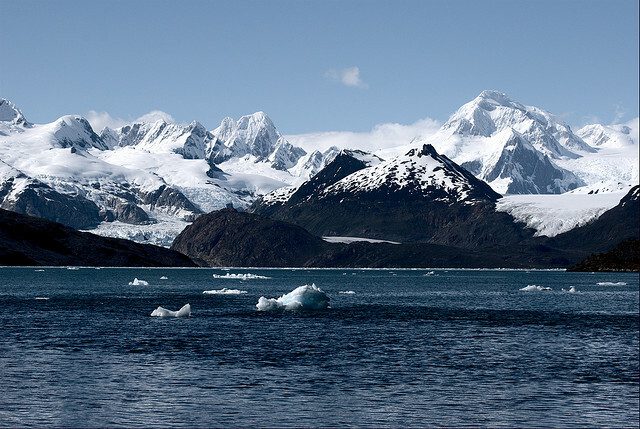 From the Refugio Grey you can take a boat by it, kayak to it or take an ice-hike upon it. 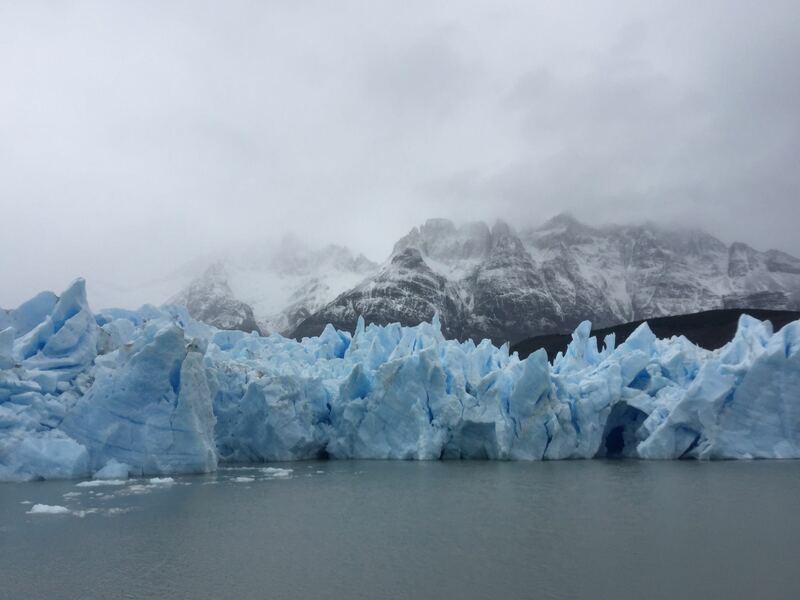 I’ve heard the ice hike here was much better than on the Perito Moreno because you are the only group out on the ice compared to the 5-8 different groups all hiking at the same time. All these activities on Glacier Grey are led by Bigfoot Adventures. 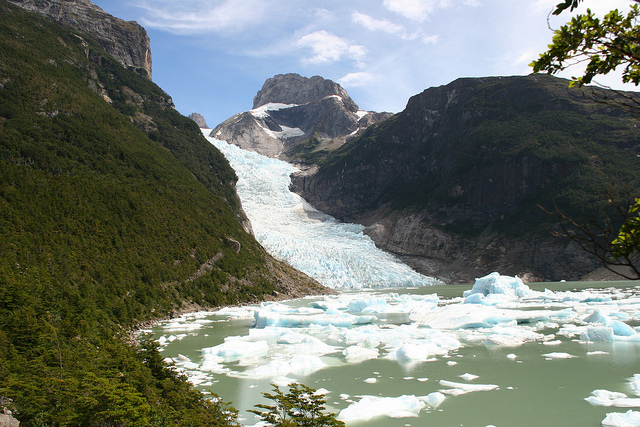 Bernardo O’Higgins National Park sits next to Torres del Paine and is relatively unvisited. This is because it can be hard to reach and therefore is very remote. Definitely, worth trying to visit if you want to visit a wild Patagonia. Magdalena Island. In Nov. most of the penguins were in their shallow burrows, but several dozen were still out walking around and adding to them. Not all the penguins are in Tierra del Fuego in Argentina. 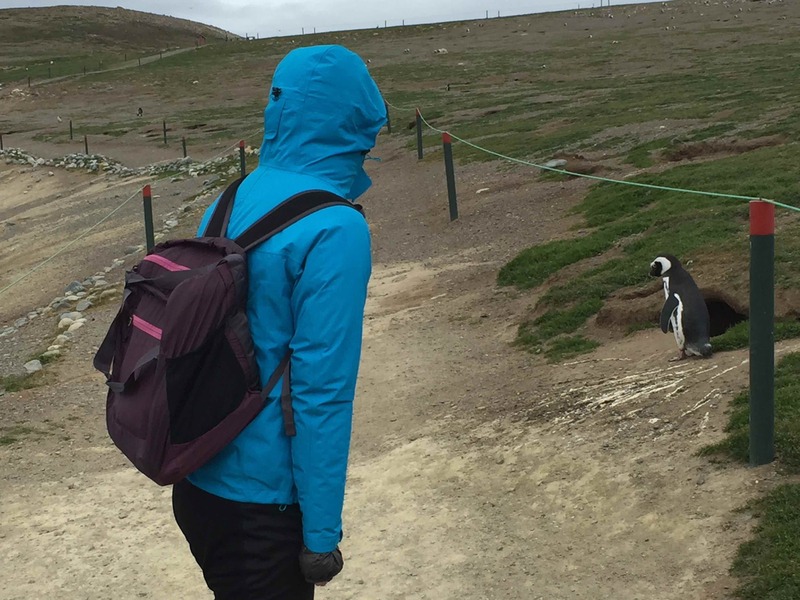 At Magdalena Island you can walk a roped trail among a penguin colony pocked with burrows. A highlight of my partner’s trip down here! Its worth noting this was a pretty rough boat ride and the trip can often be canceled due to high winds and wicked weather. This broken up landscape is rarely visited and features wild weather. A good choice if you want to go off the beaten path, you’ll likely have to find passage by boat from Punta Arenas. Also, to the East of the park you’ll find Puerto Williams, the true southern most city of South America.